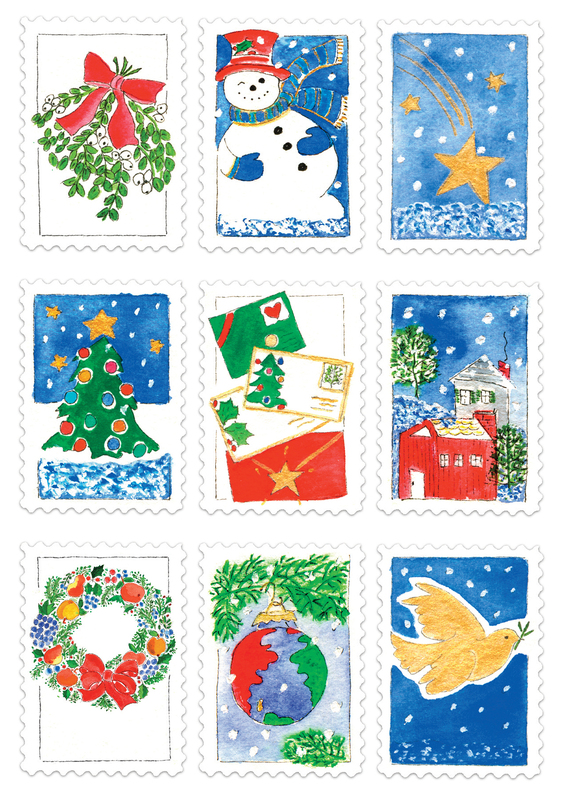 The postcard shows all nine stamp designs. The postcard size is 4.25" x 6". The set of gift tags includes one tag of each design. All are printed on heavy weight paper for a luxurious feel, with a matte surface on the back for easy writing.